Linen closets get messy fast. 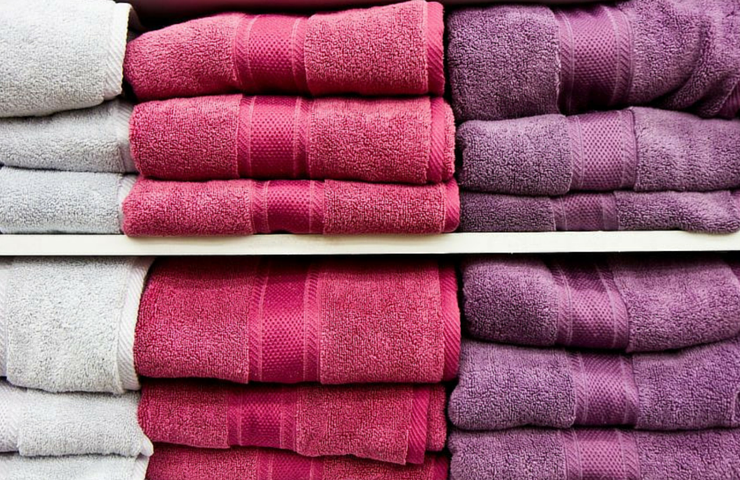 You might have 35 towels, and not a single one matches another. You’ve got sheets in the back from seven years ago that don’t fit any of the mattresses currently in your home. And most likely, there are napkins and napkin rings for every major and minor holiday scattered about. It’s time to start fresh and organize your linen closet. First, treat yourself to a fresh set of bed linens from Macy’s, taking advantage of sale prices and coupon codes. Then keep them organized by folding flat and fitted sheets and one pillowcase and stacking them neatly. Slide them inside the second pillowcase, and there you go! You’ll keep everything together and save space in your closet. Another idea? Macy’s Bed in a Bag sets come with their own storage pouch. Rather than clog up your linen closet with lots of extra sheets, keep a backup set of sheets in an under-the-bed storage container for a quick change. It works well when your little ones have overnight accidents, or for last-minute guests. If you’ve got a family, you might have twin bed linens, king size, crib sheets, towels for specific bathrooms…you get the idea. Dedicate a drawer or some attractive baskets to each item size or purpose. This makes a grab-and-go possible instead of being stuck in the Great American Crib Sheet Hunt for 35 minutes. These Rwanda Serengeti Raffia and Sweet Grass Square Baskets are pretty enough to display. Plastic file boxes with hanging folders are great for keeping special sets separated for easy access. Tuck in place mats, napkin rings and other items into a folder and label it with the holiday or special event you use it for. Some napkin rings, like this Michael Aram White Orchid set, may not fit well inside the tablecloth or inside a folder. Hanging a jewelry sorter on the back of the door of your linen closet gives you the perfect place to store all of the napkin rings out of the way and clearly visible. Being organized doesn’t just look good or feel good, it can save a lot of time and be a giant stress reliever. Who has time to waste looking for lost items? A little linen closet organization goes a long way to saving your sanity.